American singer - composer - producer. Born on 12 Februay 1935 in Kansas City, Kansas. Died on 29 July 2011. 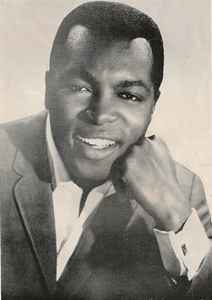 Used the name Gene McDaniels on his releases up until 1970, when he signed up with Atlantic Records, then using his full name Eugene McDaniels. Eugene McDaniels produced Lenny Williams doing "River" and McDaniels himself did it as Universal Jones in 1973 and covered it again in 1975. Does anyone remember who else did this song (besides Roberta Flack and Joe Simon) and it got a lot of air play in 1974 on KDIA in S.F. It had a sitar/guitar riff like Simon's but it was more distinct and in between each verse, was slow like the Universal Jones version, but the drum was a little more up front in the mix. It sounded like the Staple Singers but it wasn't. I used to hear it a lot out there and have not been able to find out who did it. Please, HELP!